Gas prices are continuing to creep up across parts of the county, with many spots breaking the $3 line again. As we start to shift into summer travel season, it’s a good time to revisit some potential ways you can ease up the pain at the pump this summer, with some tips via Consumer Reports. App offerings from GasBuddy, AAA, Fuel Finder, and Gas Guru are among a handful that can help you find lower prices. Also keep in mind that you're also likely to get a better deal at stations that are not located on major highways, says Michael Calkins, a manager at AAA. Logistically speaking though, making a big detour to pay less may not make sense. Calkins also says to make sure that when you compare prices you consider only top-tier detergent gasoline, which is better for your car. It’s important to keep in mind too that prices can change significantly due to how state gasoline taxes are different. DeHaan says he found that for a driver crossing the border from Ohio to Pennsylvania on Interstate 80, for example, it could cost 36 cents per gallon more to fill up in Pennsylvania. That's more than $7 extra to fill up the minivan's gas tank. Heck, sometimes prices can even vary greatly in neighboring towns. You’ve heard of the phrase, “cash is king” right? Well never is it any truer than when paying at a gas station. Some stations will offer a lower price if you pay with cash instead of a credit card. The difference between the cash and credit price usually ranges from around 10 to 15 cents a gallon, says DeHaan, though sometimes the difference can be as large as $1. Finally, another option you might consider is to pay with a cash-back credit card. While the credit card price may be higher than the cash price, the reward you receive could make using the credit card a better deal. 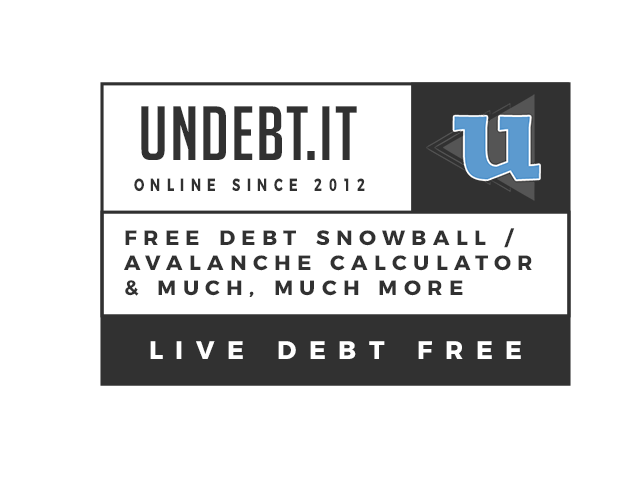 Just make sure you pay off the balance in full each month, otherwise any reward earned could become moot due to interest rates! It's worth noting that a rewards credit card could even provide greater savings than a gas credit card from a big oil company (such as Texaco or Chevron), says DeHaan. For instance, cards like the American Express EveryDay Preferred will offer an additional 2 points per dollar on gas. Their Hilton Honors Ascend card will also offer 6 points per dollar on gas as well. By comparison, the Sunoco Rewards Credit Card, offers only a flat 5 cents per gallon discount, though there is no limit on how much you can spend. For debit card users, don't just assume that you are getting the cash price either. Some stations could actually charge you the credit card rate instead, so make sure to check the posted prices at the pump. Selecting the debit option and entering a pin when you pump your gas is often a good indication your transaction will be handled as cash, says Lyle Beckwith, senior vice president of the National Association of Convenience Stores, based in Alexandria, Va.
Bankrate.com has also created a great resource about how to save in multiple categories, including gas, with their list of the best no annual fee credit cards. The list breaks down the benefits of each card, while providing information about: what you should know about annual fees, pros and cons of no annual fee credit cards and how to gauge if a no annual fee credit card is right for you. 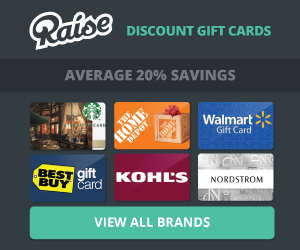 Today only, Raise.com is offering an additional 10% off of their already discounted gift cards, site wide. All you have to do is use the promo code: SPECIAL. If you are a frequent online shopper, buying gift cards from a site like Raise.com , can sometimes provide some significant savings at shops you already frequent. Plus, if you do get a gift card, you can then go through a shopping portal for even extra savings! One of our favorites is Cashback Monitor. Raise.com is a marketplace where sellers list their unwanted gift cards for sale and buyers purchase them using Raise’s secure checkout system. All transactions are handled exclusively by Raise themselves, and you’ll never deal with the actual seller. Raise offer an extensive line of gift cards, arguably the widest variety of any gift card exchange. Someone who shops a lot can save a lot of money over time by using discounted gift card instead of paying full price. For example, a contractor might spend $30,000 per year at Home Depot. Buying Home Depot gift cards at a 5% discount would save them $1,500 over the course of the year. Bear in mind that you will lose out on any credit card protections when paying with a gift card in place of direct credit card payment. For some purchases, it might be smarter to pay with a credit card directly. It's hard to believe Mother's Day 2018 is already less than a month away, and with that comes the need to find the perfect gift idea for mom. Does your mom like to laugh, appreciate a good joke, or could be in need of a little pick me up for Mother's Day? Then look no further as we've put together a gift idea guide of 10 funny gift ideas for your mom that are under $10! We all remember Mad Libs right? How about a dog version? Perfect for dog lovers, the 48-page books contains an original 21 stories that are inspired by man's (or woman's) best friend! VERSATILE - Apply this set of fun magnets to any magnetic surface - magnetic whiteboards, fridges, cabinets, lockers and more. This Ninja star magnet set are perfect fridge magnets for adults. STRONG MAGNETS - These unique and fun magnets reliably hold up to 10 sheets of printer paper with a single magnet! SIZE OF MAGNETS - The length of each Ninja Magnet is 2.5 inches. LIFETIME GUARANTEE - Each magnet you buy will last a lifetime or Bullseye Office will replace them for free. If our product is unsatisfactory feel free to send it back and receive 100% of your money back! No risk! We all love our smartphones and what they can do for our daily lives, but if you really want a funny gift idea for mom, be sure to check out the below book. Especially if she has been prone to test autocorrect herself a few times! Filled with submissions from readers of her popular website, this laugh-out-loud funny book features cringe-worthy exchanges with parents, friends, significant others, and co-workers that contain some of the most unintentionally hilarious--and mortifying--mistakes ever caused by Autocorrect. We all remember the infamous leg lamp from the Christmas classic, A Christmas Story. Makes for a great gift for any fan of the movie, as well as a potential great decoration come Christmas time! Ever look back on some of your old family photos that are absolutely cringe worthy? Well, perhaps after looking at this tome, you won't feel quite as bad as the poor families and their respective photographs within. Is Mom not a morning person at all, but a definite coffee lover? Then she'll be sure to love the below, giving fair warning to anyone! Perhaps even the gents will appreciate this one, and in turn, Mom will appreciate it too. Motion-activated LED sensor, not have to turn on the lights to go to the bathroom at night when half asleep, it will not disturb your body sleeping clock.It is motion activated, only turns on when you walk into the bathroom in the dark. It's always there to show you the way. There's no denying that coloring books have found a recent surge in popularity as not only being therapeutic for kids, but for adults as well. Moms experiencing the highs and lows of #MomLife will be sure to get a kick out of this book. The problem is finding the time to color, right? Does Mom own a Kindle? (If not, they're [easyazon_link identifier="B00OQVZDJM" locale="US" tag="scriptnotes00-20" localize="y"]available here[/easyazon_link] as another gift idea!) Then she'll be sure to appreciate this romantic cookbook! So there you have it. Hopefully this budget friendly guide of funny gift ideas for mom will give you a good starting point if you're looking to give mom some much needed laughs this Mother's Day! If Mom enjoys golf, be sure to check out our guide to some of the most popular golf gloves! Toys R Us gift card holders can exchange them for a reduced Bed Bath & Beyond or buybuy BABY eGift cards. But shoppers needs to act fast. If you've been hanging onto any remaining Toys R Us gift cards, you may want to act soon. The going out of business retail chain is planning on only honoring gift cards through April 13th, according to USA Today. "Use those gift cards ASAP," the Better Business Bureau said on its website in advice for customers of bankrupt companies. "Businesses that have entered into the liquidation process will not be around for very long and BBB advises consumers who are holding gift cards spend them as soon as possible or risk getting stuck with a worthless piece of plastic." However, if you don't anticipate being able to use any remaining cards, retailer Bed, Bath and Beyond is coming to the rescue, teaming up with CardCash to buy any unwanted cards. Thursday April 5, 2018 at 11:59pm EST is the last day they’ll buy your unwanted Toys R Us gift cards. The minimum value has to be $20.00, although partially used or uneven balances will be accepted. They’re only offering a payout rate of 64.2%. A payout rate like the above would normally be terrible. But given the forthcoming demise of the toy giant, this may be a good time to cut your losses. If you've been in the market for an Apple Watch, Macy's kicked off a surprise sale yesterday that ends today online and in stores. Other models available all the way up to the Apple Watch Edition on sale for $70 off. Now, even better, if you have a Discover card, you should be able to get an additional 10% cash back. If you're in your first of a Discover IT card, that should double to 20% cash back. If you don't have a Discover card yet, be sure check out more info here. Between the sale, and the potential cash back, you could be hitting a great deal. A word of advice though. Generally cash back portals will explicitly exclude Apple products from earning cash back at Macy's. However, Discover does not include this exclusion on its site. Perhaps take a screen shot of Discover's exclusions just in case they don't happen to automatically pay out. Generally Apple products are rarely discounted, and certainly rarely available with this much cash back. Also keep in mind too that there are rumors Apple will soon be releasing a new Apple Watch this fall. However, that might not matter to you, so this could be a great chance to join the smartwatch world, especially if you are into fitness and health tracking as well! If you're new to Ebates, consider signing up with our link to support the site, and as always, make sure to check sites like www.cashbackmonitor.com first to make sure you're getting the best deal! While there is no denying that one of the best ways to save money on food and meals is to make our own from items purchased at the grocery store. However that isn't always possible, and one of the great ways to save on dining out is with discounted gift cards. Discounted gift card seller, Gift Card Granny has some great Taco Tuesday deals on the below restaurants if you need a quick bite to eat today, but also want to save money! CardCash.com is back with one of its flash sales again, and this time on the docket is retailer Kohl's. 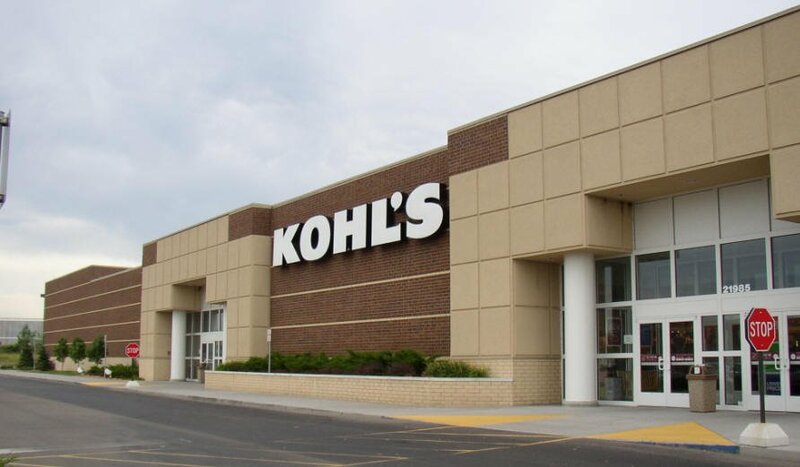 Now, through 7/19 at 11:59 PM EST, you can get an additional 11.8% off of a Kohl's Gift Card while supplies last. This can be made to be an even better deal, especially if you have the Kohl's Card, where from now until 7/23, if you enter the code BBQ30, you can get 30% off your purchase! About CardCash.com: Founded in 2009, CardCash.com provides an answer to two common questions: What can I do with all of these gift cards I will never use and how can I easily save money? CardCash pays cash for unwanted gift cards and then sells those cards at a discount. Make money, save money - that's CardCash. Amazon Echo - Lowest Price This Year! Today only, Amazon is offering the lowest price yet this year on its Amazon Echo home speaker product, coming in at $129.99. This amounts to a savings of 28% off of the list price! Note that the offer ends at 8:59 PM PST today, so make sure you take advantage if you've been waiting for a price drop like this. The Echo holds a place on our counter top and we have loved ours. In the kitchen, it can come in extremely handy for multiple timers. Say you have something on the stove, but also have something baking in the oven at the same time. You can name the different timers, so that way you know which one is ready to go. We also love it for its integration with Alexa, where you can order Alexa-exclusive voice shopping deals. There's also hundreds of Alexa skills you can utilize with it, such as ordering a pizza from Domino's. It also integrates nicely with Amazon Music Unlimited, producing a decent quality sound. See below for more details on the product, and let me know if you have any questions on our usage! Brides - Looking To Save Money on Your Wedding? A wedding. They can be a time of great joy for the blissfully wedded couples-to-be, with the thoughts of beautiful flowers, gorgeous dresses, cakes, desserts and food galore, plentiful amounts of guests and family members, and the venue of your dreams. Often though, they can be a time of great stress when it comes to the wedding budget, on both the bride and groom’s families. Did you know though, that there’s a way to make your wedding shopping not quite as stressful? Read on! When we were planning our wedding a few years ago, our first goal of course was to lock down our venue as the “foundation” for our wedding planning, and then build on top of that with the details. It’s those “details” that can really add up on the finances. Enter discounted gift cards. We’ve mentioned numerous times on this site before how discounted gift card shopping can help you not only in your everyday shopping that you do at your favorite retailers, but did you know that this can help in your wedding planning and shopping? One of our favorite discounted gift card aggregators, Gift Card Granny, has some fantastic deals right now on retailers that might interest you for your upcoming nupital planning. Need flowers? Gift cards for 1-800-Flowers can be had for up to 26% off. Needing to get some me time at the spa ahead of the big day with the girls? Spa and Wellness gift cards can be had for up to 22% off. Still needing to find some outfits for your groom or earrings and necklaces? JCPenney and Swarovski gift cards can be had for up to 12% and 15% off respectively. Needing some help in the decor department, or needing to save on your invitations? OfficeMax and Bed Bath & Beyond gift cards are available for 15% and 10% off. Finally, perhaps you’re a guest for an upcoming wedding and are looking to save on gifts. Kohl’s and Pottery Barn gift cards are available for 13% and 6% off. Multiple other retailers can be found on the website as well. A word of caution though, sometimes gift cards for various retailers are available in limited quantities. So if you see a deal of interest, you may wish to snag it up quickly! No newly wedded couple should have to go into massive debt in order to have a day to remember, so make sure to head over to Gift Card Granny to stock up today! Also, if you have any tips with other future couples about how you’re saving on your wedding, be sure to share them below! You never know who you might be able to help!